With the euro debt crisis, Denmark's presidency of the EU council coincides with one of the most difficult moments in the Union's history. As Denmark is not member of the euro zone, it is prepared to take a back seat in the troubleshooting effort, but would strive to keep the countries from both sides united – "a bridge over troubled water" as European Affairs Minister Nicolai Wammen described it. The current climate of lasting crisis stands in marked contrast to Denmark's last EU presidency, held in 2002, at a time of European optimism with the recent introduction of the euro and preparations for the biggest-yet wave of enlargement. The current presidency is the seventh for Denmark, which joined the European Communities in 1973, along with the UK and Ireland. The stint will represent a great challenge for Helle Thorning-Schmidt, who became Denmark's first female prime minister when her 'Red Alliance' narrowly beat the incumbent centre-right government in October. Thorning-Schmidt leads a government of four coalition parties with 89 seats in the 179-seat parliament against 86 for the opposition. The election represented a small but significant victory for European integration as Thorning-Schmidt, a College of Europe graduate, has removed national border controls reinstated by the previous government and pledged to remove some of the country's opt-outs from EU policies. Thorning-Schmidt's European connexion notwithstanding, it appears that her presidency agenda will be overshadowed by the financial crisis. The Danes, not members of the eurozone, have indicated they will not play a central role in the elaboration of the response to sovereign debt crisis and in particular the drafting of a new treaty to enforce fiscal discipline. The Danes nonetheless hope to move forward on other items important to them. These include improving the EU's environmental standards and making progress in negotiations on the 2014-2020 European budget. Prime Minister Helle Thorning-Schmidt's narrow electoral victory in Denmark had an immediate impact on EU affairs: Denmark made a U-turn, removing border controls, installed in what the former cabinet said was a bid to halt illegal goods. 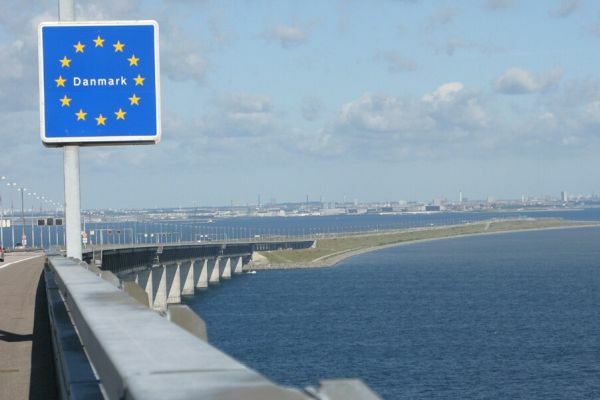 These border controls were put in place by the previous centre-right government, whose ruling majority had been dependent on support from the anti-immigration Danish People's Party. Germany and the European Commission had strongly objected to the border controls, as they were seen as contravening the Schengen treaty governing free movement in Europe. The government has also re-instated, for the first time since 2002 and Denmark's last EU presidency, the position of minister for European Affairs, held by Nicolai Wammen. And it also plans on holding referendums to remove the country's opt-outs from EU policies in home affairs and foreign policy. However on June 26, Thorning-Schmidt told the newspaper Politiken that because of the “euro crisis and so much turmoil and uncertainty surrounding the European project”, it might take several years before the Danes once again have to decide in a referendum whether to keep the country’s 4 EU opt-outs. European affairs have played an important role in the new Danish prime minister's political career. Thorning-Schmidt is the first graduate of the College of Europe to become a head of a government. Her experience as MEP between 1999 and 2004 is also notable. While other 'eurocrats' have since come to power in the member states – including Prime Ministers Mario Monti in Italy and Lucas Papademos in Greece – Thorning-Schmidt is the only one who can claim an electoral mandate. Thorning-Schmidt's European connexion also goes into her family ties. Her husband, Stephen Kinnock, is the son of Neil Kinnock, a former leader of the British Labour Party and European commissioner. In her inaugural address to the Folketing (Danish Parliament) on 4 October, Thorning-Schmidt said: "The primary task for the Danish EU presidency will be to ensure that we in Europe take joint action to put the economic crisis behind us. We must strengthen the basis for responsible growth and employment." The economic situation has not improved despite three European Council summits to address the eurozone sovereign debt crisis. Europe's economic situation looks almost certain to deteriorate significantly in 2012. European Central Bank President Mario Draghi has repeatedly warned of "high certainty" and "substantial downside risks" in the near future. Similarly, numerous analysts have made specific negative prognostications. Deutsche Bank economists expect the eurozone economy to shrink 0.5% in 2012. Other analysts have identified data suggesting the eurozone already began contracting in the last quarter of 2011. This will put additional strain on governments as the economy shrinks and tax revenue declines as a result. At the same time, the crisis has pushed European leaders to take unprecedented and rapid moves towards a new treaty, likely to exclude the United Kingdom. The treaty is likely to dominate EU news for the first months of the presidency. However, Denmark's role in elaborating the institutional response to the eurozone crisis is limited by the country's small size, its non-membership of the euro area, and the growing importance of European Council President Herman Van Rompuy. Wammen, the Danish minister for European Affairs, said just days before the country took over the rotating presidency from Poland: "We expect the president of the European Council to play the leading role in drafting the new agreement." Denmark opted out of the single currency after voters rejected it in a 2000 referendum by a margin of 53.2% to 46.8%. Opposition to the single currency in the country has risen dramatically in recent months. The country is reportedly divided on the proposed 'fiscal compact' and the government has said it will not hold a referendum on joining the euro zone in the immediate future. On June 27, the day before the EU summit, Thorning-Schmidt told the Danish news agency Ritzau that she would not ask the Danes to pay for other countries’ debt even if it may look as a lack of solidarity with other EU countries. “There are limits as to how much I will ask the Danes to pay for other countries’ debt and under which circumstances,” she said. Danish Ambassador to the EU Jeppe Tranholm-Mikkelsen has said that environmentally friendly growth would have been the top priority of the presidency were it not been for the eurozone crisis. The Danes have nevertheless put a heavy emphasis on progress in this area. The Danish authorities pride themselves on their country's environmental achievements, notably in the field of renewable energy. In 2010, 33.1% of Danish electricity production came from renewables, nearly two-thirds of this through wind power. This is a sharp departure from Denmark's presidency predecessor, Poland. The latter is heavily dependent on coal, is expanding the exploitation of shale gas, and faced controversy for its support for fossil fuels in the context of the presidency. These stark differences have been criticised by some analysts for contributing to the incoherence of six-month presidencies. In February 2011, the Danish government published an Energy Strategy for 2050 which would include total independence from coal, oil and gas by that year. This has been praised by NGOs such as the WWF, but the proposal has not yet been approved by the Parliament. In April 2012, Denmark announced that by the end of this decade, it will produce a third of its energy from renewable sources - wind power, in particular, but also solar power and the burning of "biomass." More ambitiously, the Danish Government has set a goal of running the entire country on renewables by 2050. The announcement has won support from across the country's political spectrum. "No matter what we do, we will have an increase in the price of energy, simply because people in India and China want to have a car, want to travel," Lykke Friis from the liberal opposition party Venstre said. "That is why we came out with a clear ambition to be independent of fossil fuels: so we are not vulnerable to great fluctuations in energy price," she added. The presidency has said it wants to raise consideration of environmental issues in various EU policy areas - including agriculture, fisheries and transport. But perhaps the most significant issue to be addressed is the review of the Energy Efficiency Directive. The directive was agreed on 13 June by EU negotiators. “It is with great pleasure that the Danish presidency has made a deal with the European Parliament and the Commission,” Danish Climate and Energy minister Martin Lidegaard told the Danish daily Politiken after the negotiations. “It has been underway for a long time and there have been tough negotiations. Therefore I also have to say that, this is a deal which will be approved on Friday by my colleagues and I when we have the meeting in the Council,” Lidegaard said. Environment Minister Ida Auken recently called for the inclusion of binding targets for energy savings, notably for the refurbishment of buildings. The Danes have also said they will use the predicted scenarios in the Commission's 2050 Energy Roadmap to push for their energy efficiency goals. The continuing negotiation of the EU's 2014-2020 budget ('multiannual financial framework', or MFF in EU jargon) will also be a significant item on the presidency's agenda. Speaking at the European Policy Centre think tank, Tranholm-Mikkelsen said that, contrary to Copenhagen's previous expectations, the negotiations would probably not be finalised under their presidency. "It has become evidently clear that this will not be concluded in June, everybody has been telling us that," the envoy said. Instead, the negotiations will probably end during the Cypriot presidency in the second half of 2012. The Danes hope to have a substantive if not final agreement on the budget's direction at their presidency's final Council summit on 28-29 June. The Commission's budget proposal presented earlier this year included controversial plans to provide the EU with its own tax base ('own resources') and shift funding towards research. The latter was fleshed out as the €80-billion Horizon 2020 programme. However, it is uncertain whether member states will accept new ways of financing the European budget and they may opt to continue favouring existing programmes. Diplomats had previously warned that a budget compromise in the first half of 2012 would be impossible due to France's presidential elections to be held in the spring and the importance of EU farm policy to the country, of which it is the biggest beneficiary. The EU's Common Agricultural Policy currently makes up over 40% of the EU budget, by far its largest item. Prime Minister Helle Thorning-Schmidt's October inaugural address to the Danish Parliament put heavy emphasis on her country's upcoming EU presidency. She listed green growth, research and the single market as areas in which her government will push for a greater role in the EU budget. "In general, we will enhance Denmark’s involvement in the EU. I am certain that we will get more out of cooperating with our neighbours on, for example, cross-border crime than by building new inspection facilities at the Danish border. The government also wishes to abolish the Danish opt-outs: the opt-out on defence and the opt-out on Justice and Home Affairs," she said. Speaking to the media in Brussels in December, Minister for European Affairs Nicolai Wammen said: "Let me be frank with you. Denmark has been taking over its presidency at the most difficult of times. But still we are looking forward to the job." "We see it as a key task of the Danish presidency to [unite] the countries that are inside and those outside the eurozone. So if you will allow me to bring the lyrics of an old Simon and Garfunkel song, Denmark would like to be the 'bridge over troubled waters'," he said. Ulrich Bang, director of European Affairs at the Danish Energy Association, says Denmark's six months at the helm of the EU will be critical to whether the bloc can fulfil its energy efficiency goals. "If European decision-makers do not create clarity over the medium-term and long-term target during the Danish presidency, the necessary investment framework for large-scale and long-term green investments will not be in place. To do nothing is not an option. It is just choosing an extension of a fossil-fired energy system," he said. Piotr Maciej Kaczy?ski, a research fellow at the Centre for European Policy Studies in Brussels, said that Denmark, along with Poland and Cyprus, are failing to cooperate in the framework of their 'trio' of presidencies. Denmark is succeeding Poland in the rotating presidency, and Cyprus takes over in July. He argued that the Danes only became interested in EU affairs with the election of their new government in the autumn and, as a result, they had been little involved in setting the trio's common goal. "Nobody in fact was interested. They had those 14 preparatory meetings or so – nice – and produced an 18-months programme, but it's not their programme, it's the Commission's," he said. "You have broken the relation of trust with this Parliament, and broken away from the Community method, which guarantees that larger member states cannot impose their will on smaller ones." “You have opened the door to populism and we will stand against you," said MEP Hannes Swoboda, leader of the group of the Socialists and Democrats. “This is the worst massacre I have seen yet. It was not nice to watch. It was embarrassing for Denmark,” MEP Morten Løkkegaard from Group of the Alliance of Liberals and Democrats for Europe told the Danish daily Politiken. MEP Christel Schaldemose (S&D) said: “It was a very harsh exchange of opinions. As a Dane it was not nice to watch." “I think about it is as a pragmatic presidency in a very historical time. And those two things don’t always come together,” Sinne Backs Conan, Europe politics chief at Danish Industry, told the Danish news agency Ritzau. “They’ve done, as they should have done, a very good job on number of legislative dossiers, but on the big political issues they were not visible. But that’s how the system operates. There is no more EU presidency, there is Council presidency,” said Piotr Maciej Kaczy?ski, a research fellow at the Centre for European Policy Studies. 1 Jan. 2012: Denmark takes over the rotating EU presidency, succeeding Poland. End of Jan. 2012: Council President Herman Van Rompuy will seek to have a draft of the intergovernmental accord for the 'fiscal compact' treaty. 30 Jan. 2012: Extraordinary European Council meeting. 1-2 March 2012: Next regular EU summit. The '17+6' group and others expected to sign to new intergovernmental treaty. 25 May 2012: Regular European Council meeting. 28-29 June 2012: Regular European Council meeting. 1 July: Beginning of Cyprus EU presidency. I wish to point out that Thorning-Schmidt leads a government of three coalition parties. The Red-Green Alliance is not a member of the government, but supports it. with my deepest concerns I had to realize that an EU-Country has officially moved away from Democracy. Which laws are implemented in the EU-Constitution to prevent this, or to withdraw from this? Which of them will be used? I urge you, to activate all your energy to stop Hungary from falling back into the beginning of the 19th century. Anne Albinus – In the European Parliament government members the Socialists People’s Party is a Member of the Greens, maybe thats where the confusion lies. We certainly welcome the advent of the Danish Presidency to the EU. Admittedly only 10 years after the last one. Something therefore is wrong with the notion that only the largest countries in the EU can be allowed to hold this office. Why not allow Malta? Let’s promote the notion that Malta should be the Candidate of best choice for the EU Presidency to coincide with Malta being the European Capital of Culture in 2018. Then with the arrival of the Flotilla of the Tall Ships parding in to Grand Harbour at Valletta and sailing around the coast a real summit of Nations in the EU could be held!